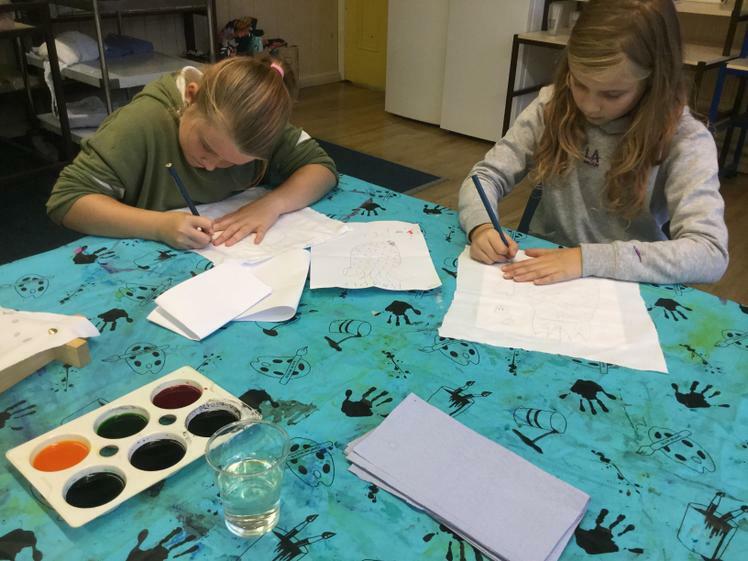 In Batik they were starting the lesson by tracing a variety of different patterns.Here are a few pictures of them. 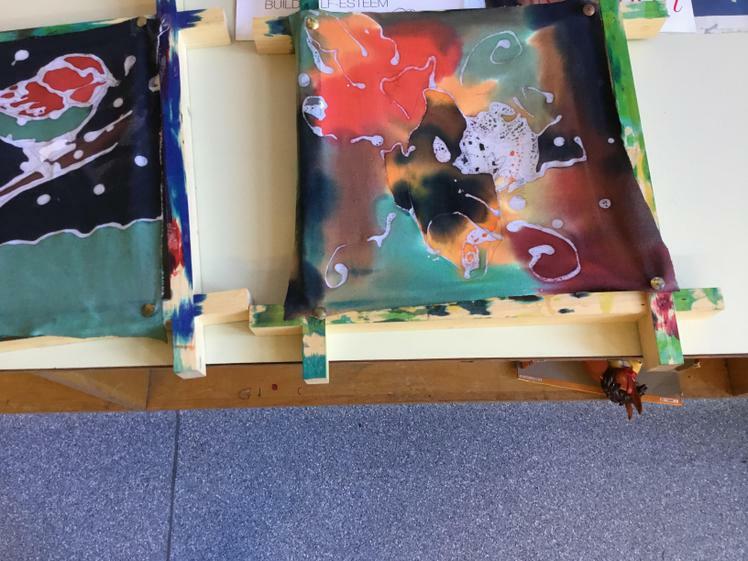 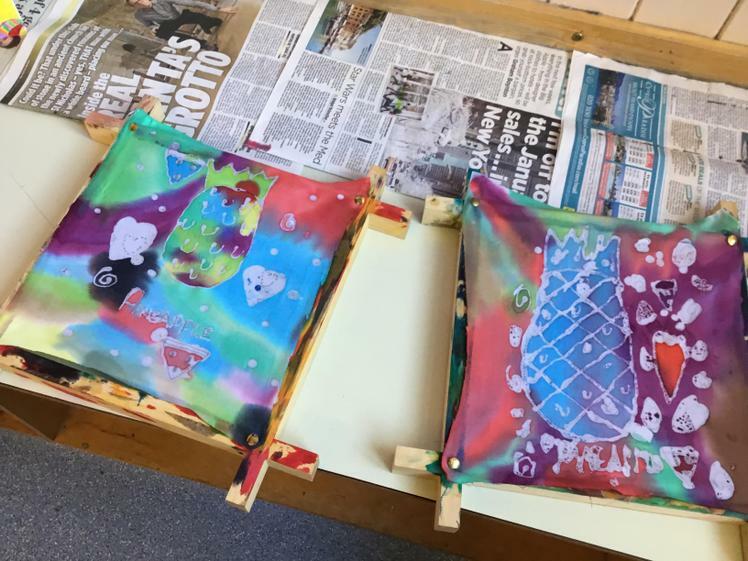 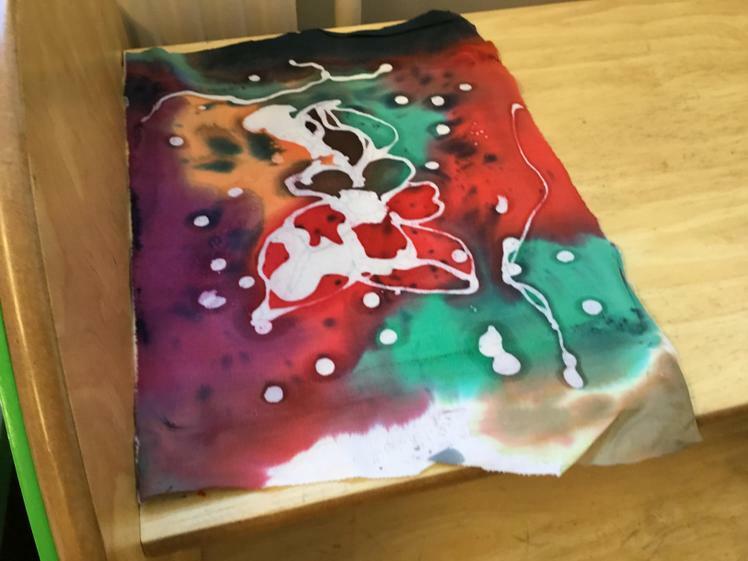 On the 2 week of Batik, they were using melted wax and they were going around their traced pictures with a gold tjanting tool. 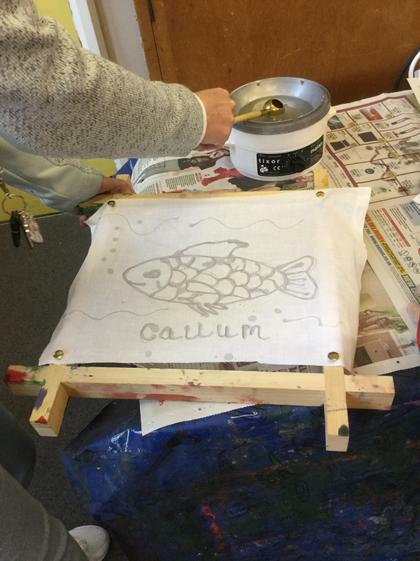 After that they were using water colours to fill in their pictures. 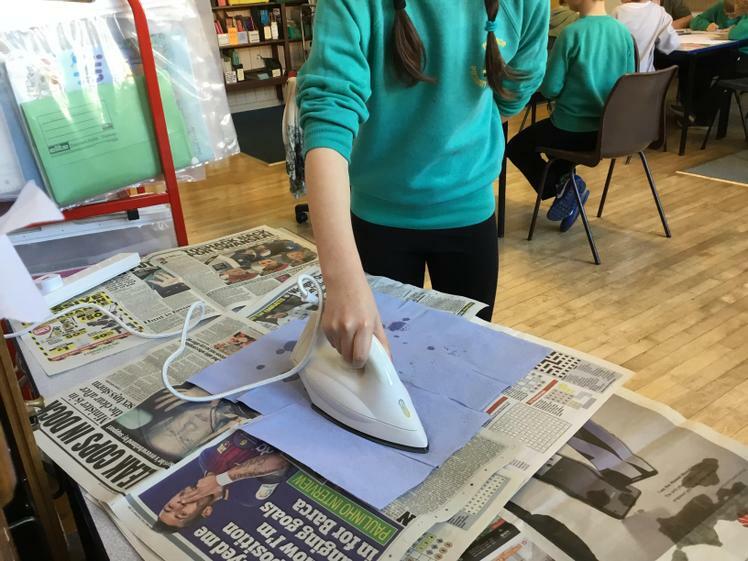 This week in Batik they had their finished names.There were some people removing the wax from the fabric with an iron. 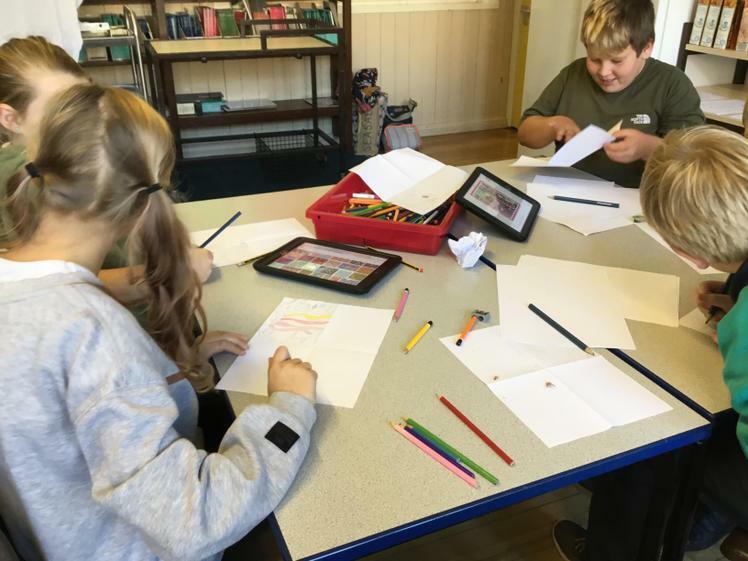 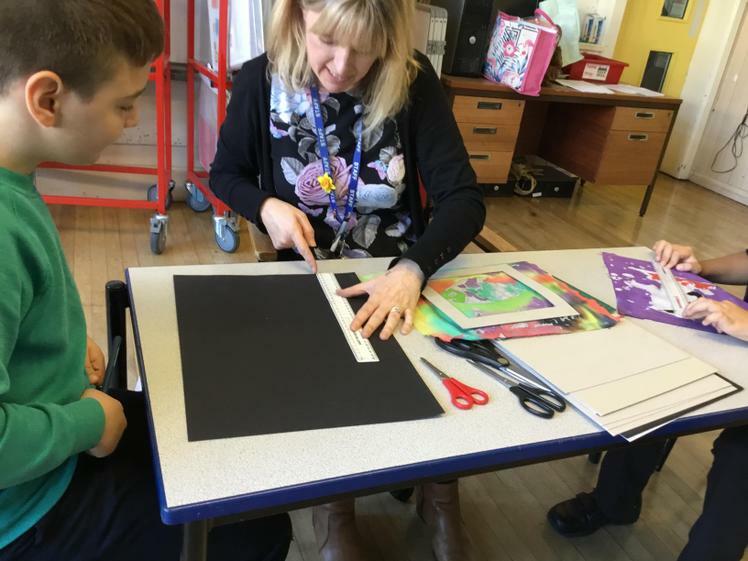 Most of the others were starting their second project which was looking at some designs for cards and then drawing and colouring them in. 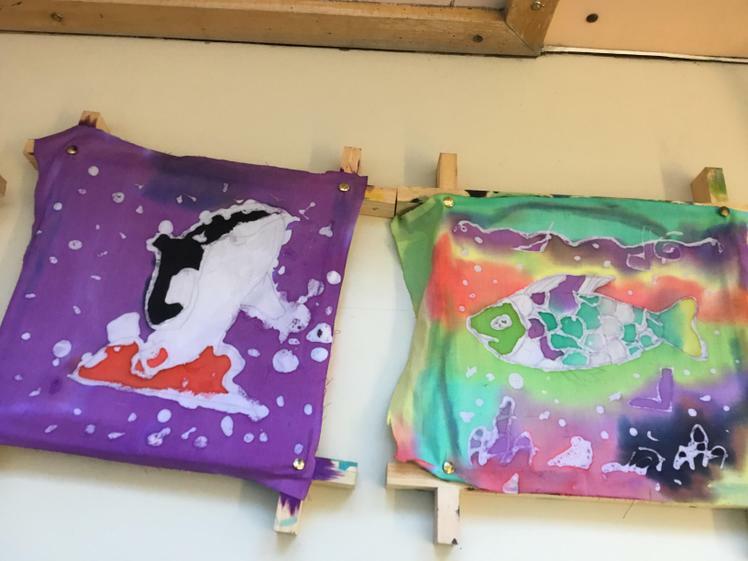 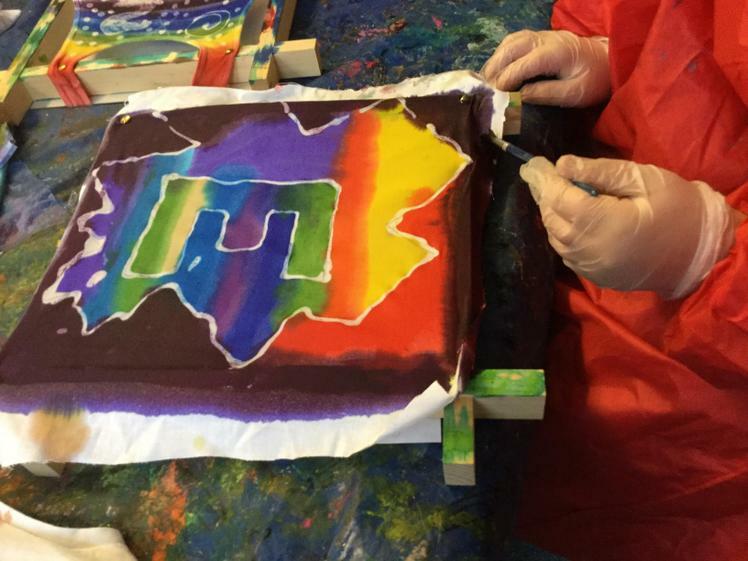 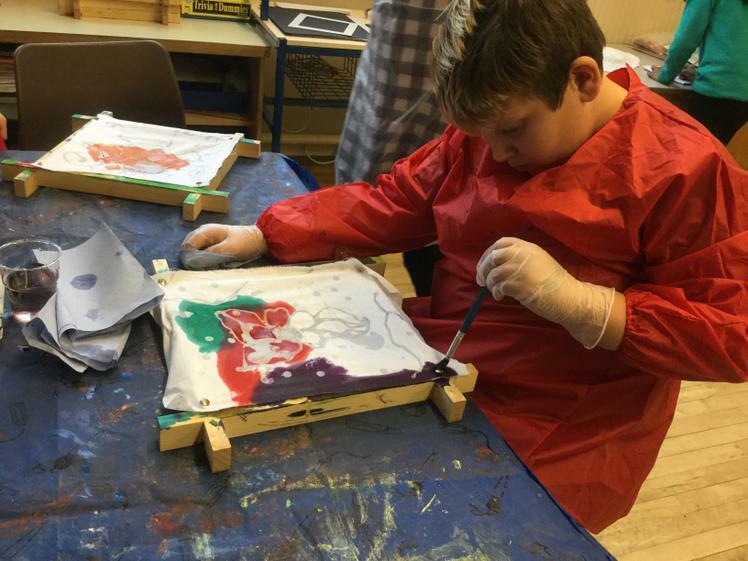 Welcome back to week 4 of Batik , we hope you had a great half term. 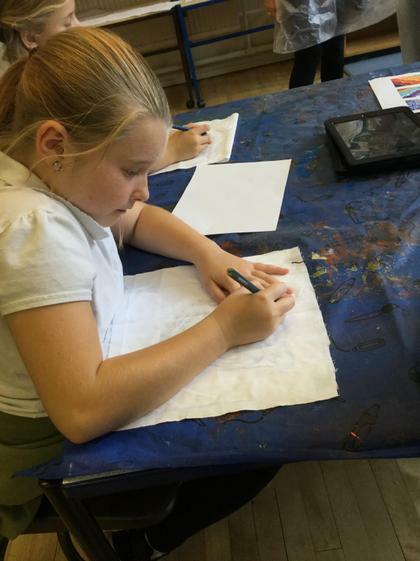 This week in Batik they were showing the children how to do " blending". 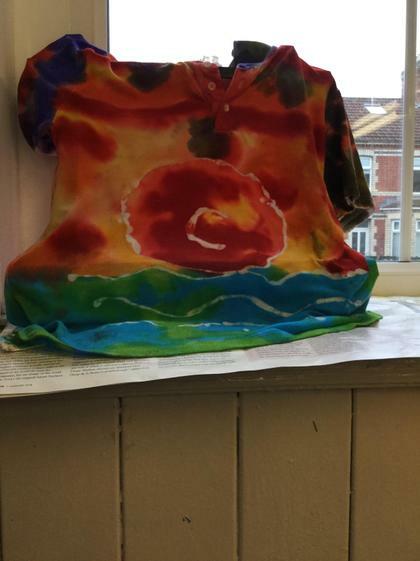 The blending makes the picture look much more effective. 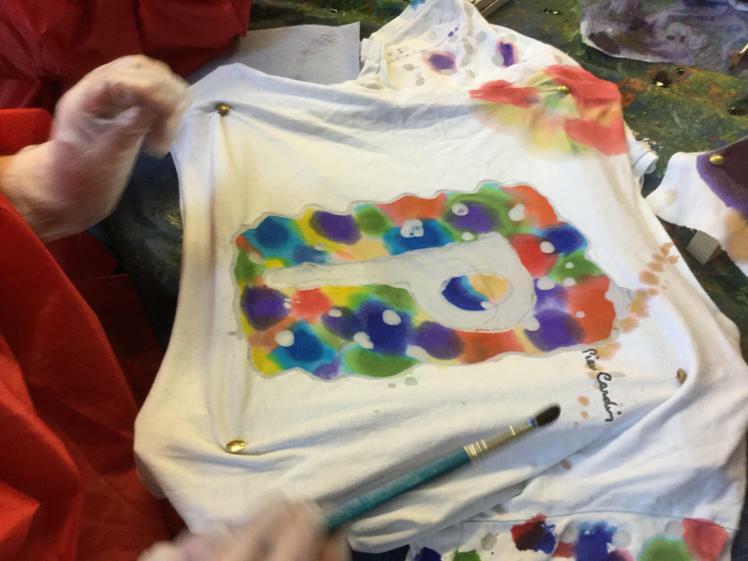 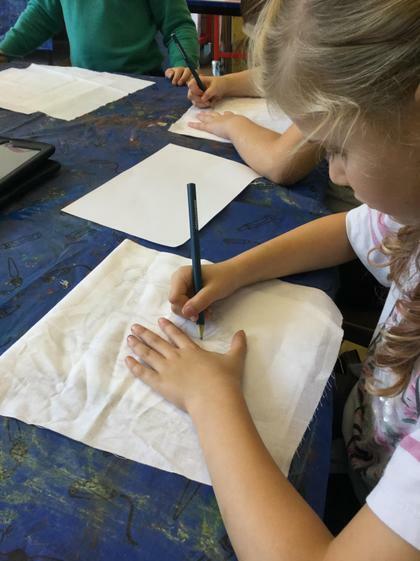 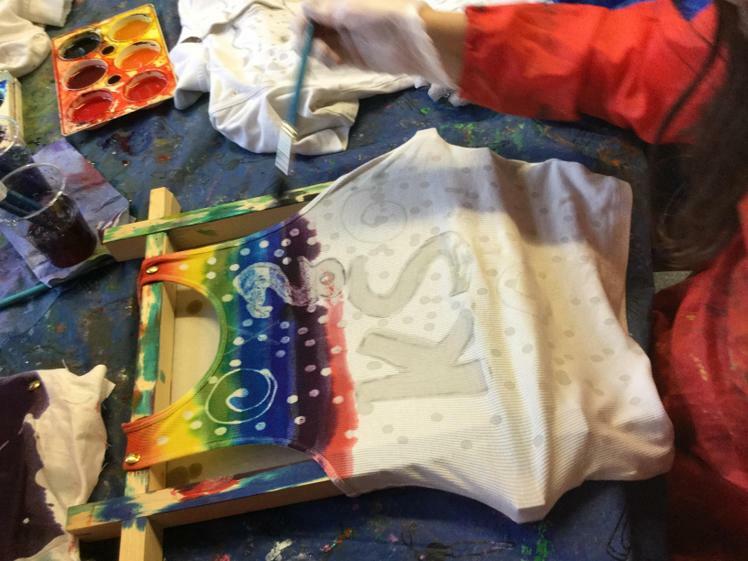 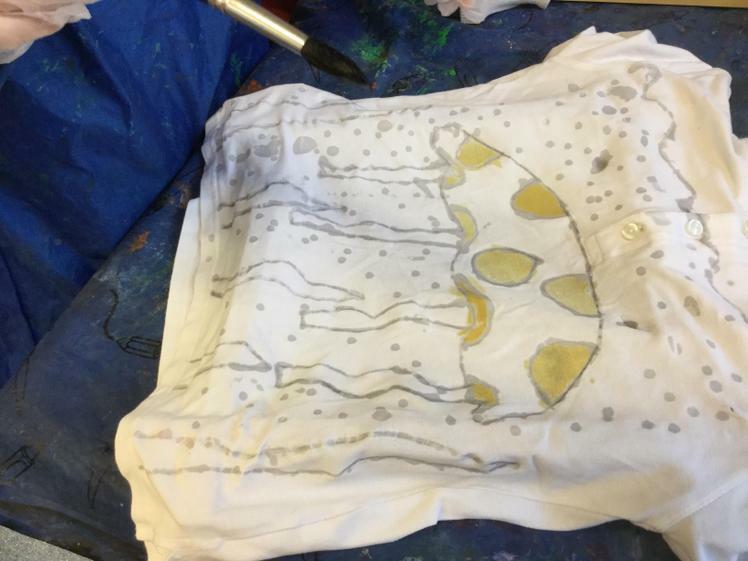 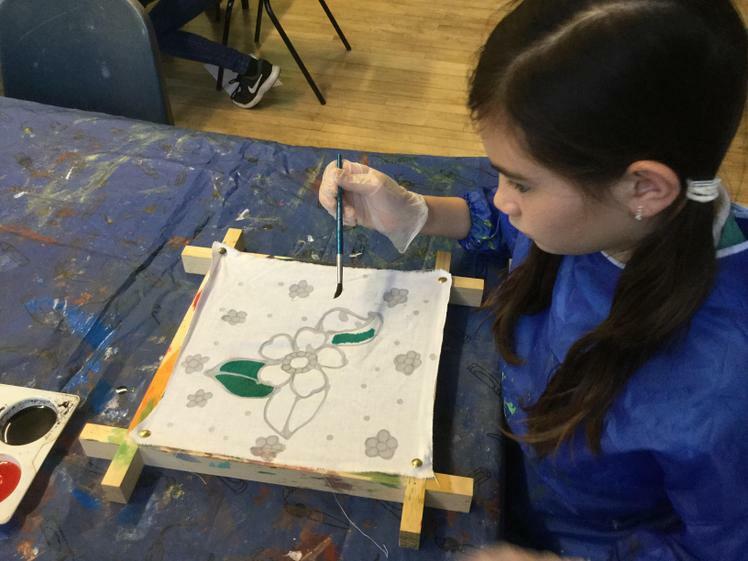 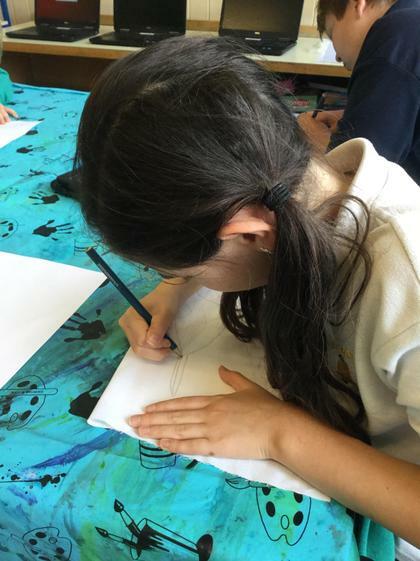 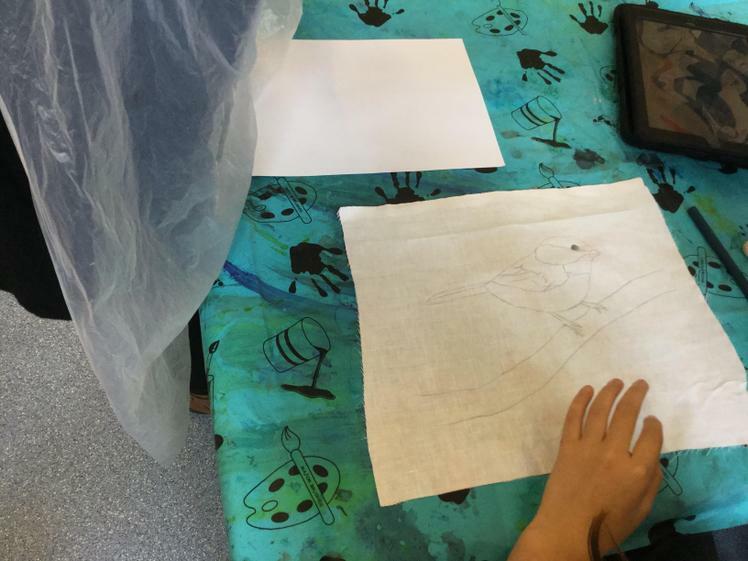 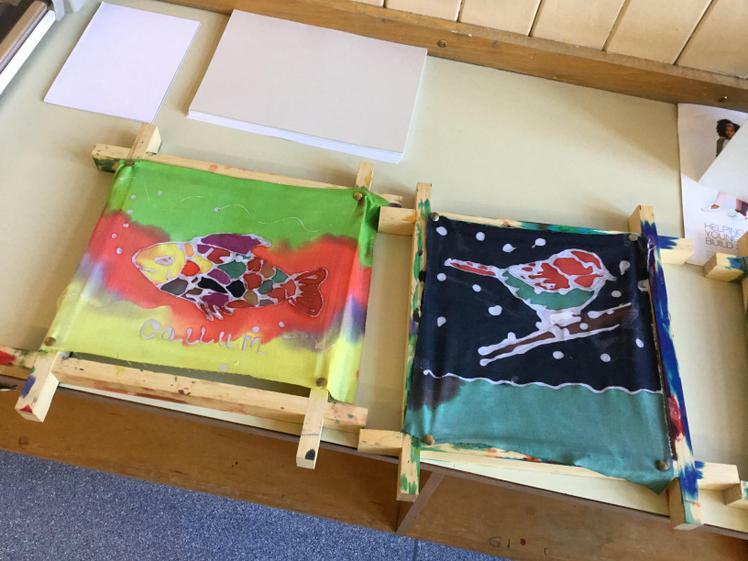 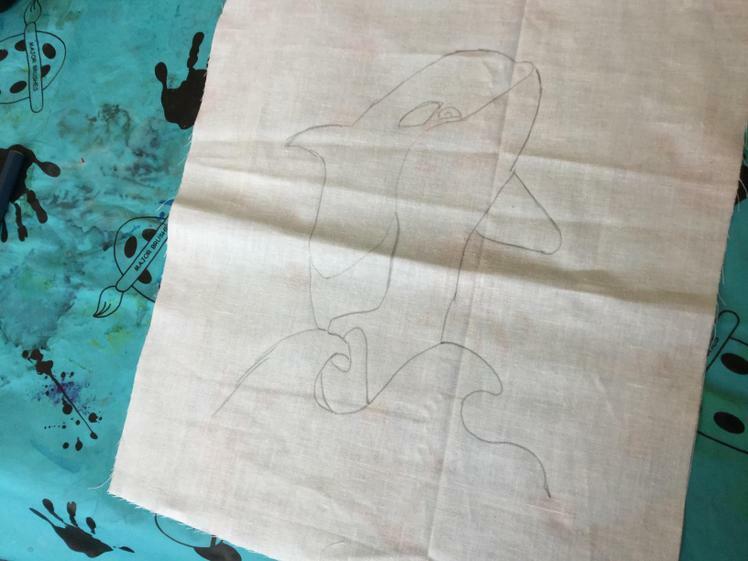 In week 5 in Batik, they were tracing their t shirt designs from their paper drawings onto their actual t shirt they were making. 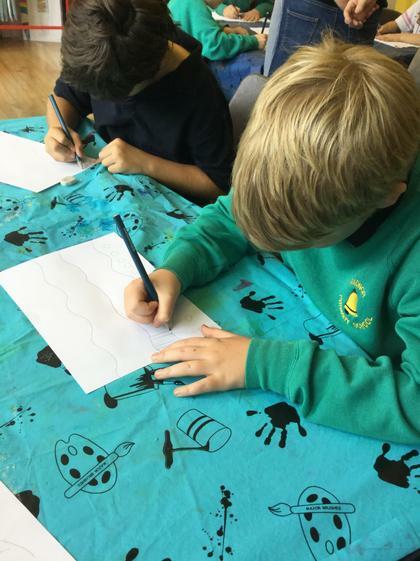 They were using pieces of card to trace some of their shapes so it was accurate. 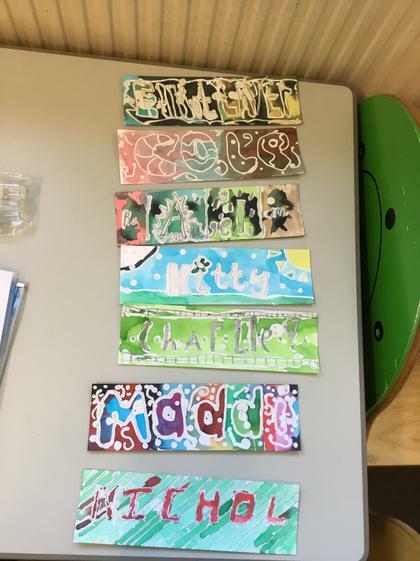 Here are some pictures of some nearly finished work. 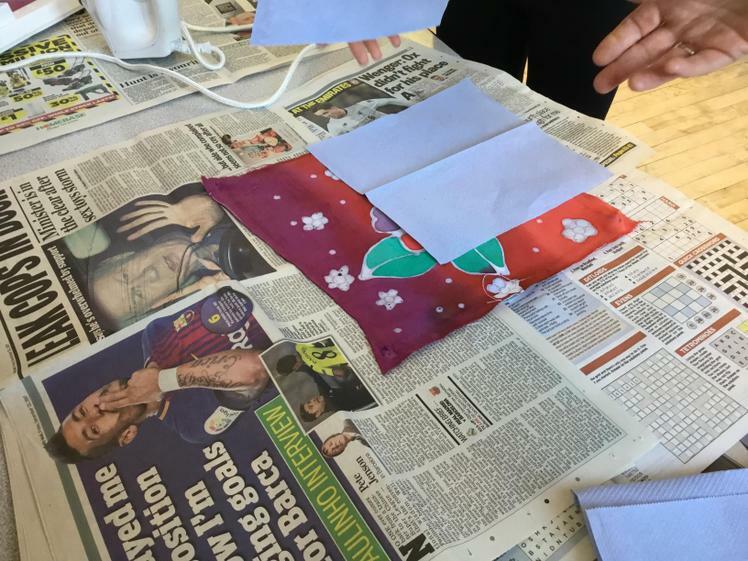 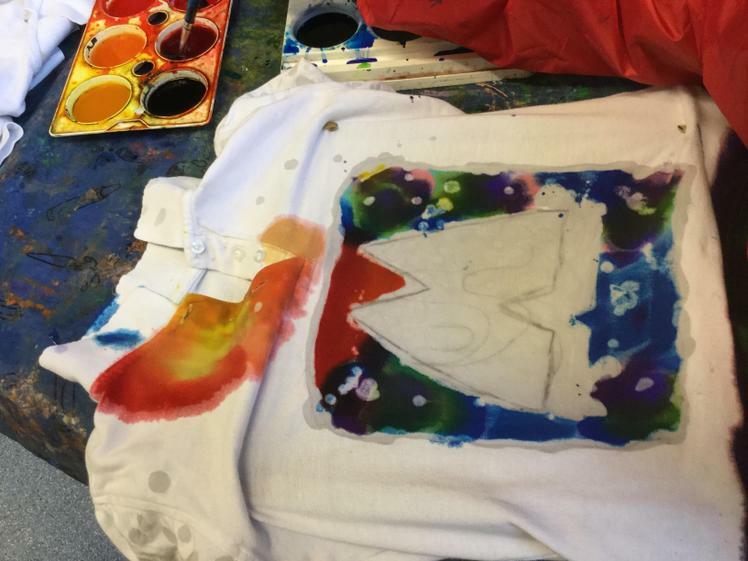 t shirts and designing Christmas cards!